I heard great things about NTU, particularly for the fashion courses; it was my favourite University from the moment I stepped through the door. 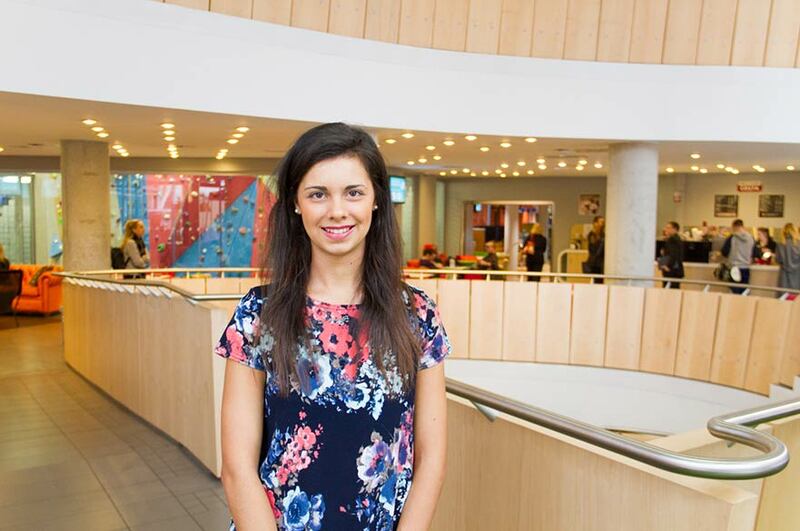 "I heard great things about Nottingham Trent University, particularly for the fashion courses that are offered here. Whilst looking around other universities, NTU was the most positively talked about for Fashion Management. It was my favourite University from the moment I stepped through the door. What do you enjoy most about Fashion Management at NTU? "I have enjoyed various modules over the years of study; in particular, the design and visual communication module during Year One and the buying, merchandising and marketing modules during Year Two. I feel that the course includes a mixture of creative work as well as reports and written work. This variation ensures that the course remains engaging and interesting rather than repetitive and boring!" Congratulations on being offered a full time job at Oxford Mens! Can you tell us a little bit about your placement here? "I applied to Oxford Mens while I was on placement at Ralsey. I loved being in New York and my six month placement at Ralsey went so quickly that when it came to an end, I was not ready to leave! "At Oxford Mens I am a sales, production and design intern. I am responsible for monitoring the critical path during production for multiple seasons. I also do a lot of creative work which involves developing visual merchandising plans, designing logos, branding, marketing and developing moodboards. I am also responsible for all the menswear social media content for Tumblr, Pinterest and Instagram. "During my time in New York I've visited all the main attractions which are all unique in their own way. There are also so many events going on all the time, such as colour runs, free concerts, parades and sports games. I have also ventured out of the city travelling to Miami, Philadelphia, Washington DC, Skiing, Atlantic City and Chicago. I plan on travelling the west coast including LA, Vegas and San Francisco during the summer! "I did not expect to be offered an opportunity of a full time permanent job at Oxford Mens and felt honoured by the proposal. I would absolutely love to continue working in New York and love working for Oxford Mens making the job offer very tempting." Why would you suggest Fashion Management for someone looking to study in that area? "Nottingham Trent University has a great reputation for all fashion courses with top of the range facilities in order to support all work required. "The fashion industry is very competitive and a degree is no longer considered enough for confirming jobs. The opportunity of a placement to support studies I believe is a valuable experience and teaches far more than taught in the classroom. "The whole campus has a buzzing atmosphere, all amenities are close by and Nottingham has many beautiful aspects in the city. I've loved my time so far at NTU, I love my course, friends, the city and I'm excited to return for my final year!"